Radweld Plus can be used at home and is simple to use; there’s no need to flush or drain the system. Simply pour in and let Radweld Plus locate and seal the leaks. 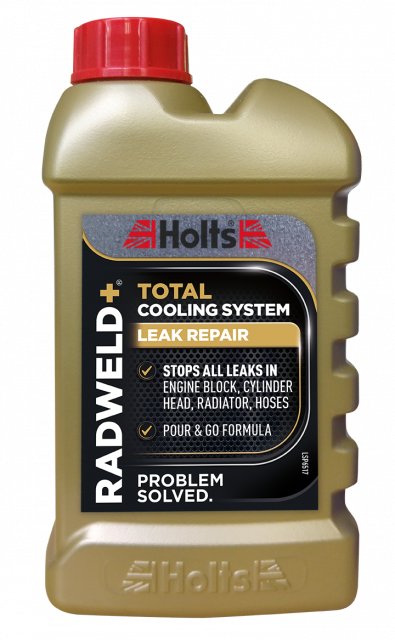 Solve your radiator and cooling system leaks with Radweld Plus. Holts have been developing automotive repair products to keep you driving since 1919. Our products are developed in our UK laboratories and tested on the road. Radweld Plus is part of our trusted Radweld range which is guaranteed to work in all vehicles without causing damage.